This classic recipe dates back to 19th century Paris and is a perfect timeless recipe to teach your kids. Just be careful with the slicing part. Do all of the early steps in advance and crisp up in the oven when you’re ready to eat. Try as a snack or a great addition to your favorite fish or poultry recipes. Or, lift brunch to a whole new level. Brush non stick 12-cup muffin tin liberally with melted butter, and place remaining butter in a mixing bowl. Place one thyme tip in each bowl then chop remaining leaves and add to mixing bowl with melted butter. 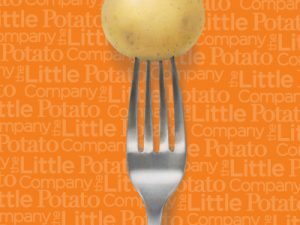 Carefully slice (thinly) the Little potatoes—this may be a job for Mom or Dad using a mandoline or knife. Slice as thin as possible but still staying together in whole slices. Add potatoes to melted butter, chopped thyme and add salt and pepper to taste. Layer the slices in a circular motion into the muffin tin cups and pour any excess butter/thyme bits over. Wrap in tin foil and bake in the oven 30 minutes until tender. 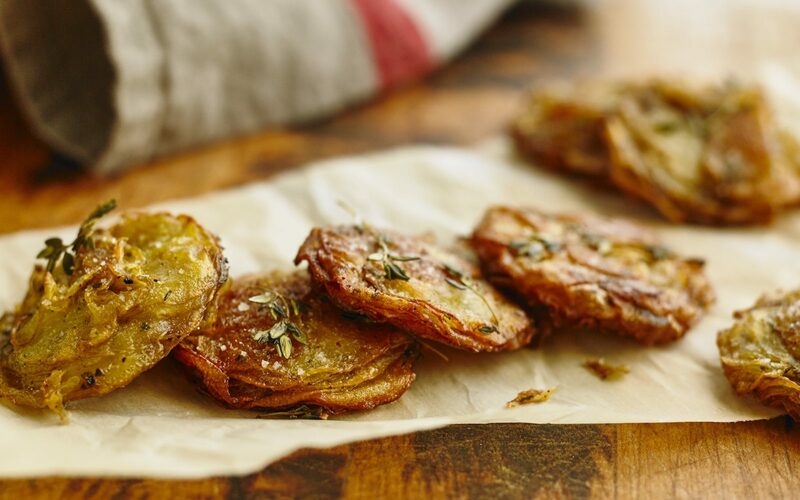 Remove foil and bake additional 30 minutes until brown and crispy on the edges, then carefully remove with a small spatula so thyme sprigs are facing up.